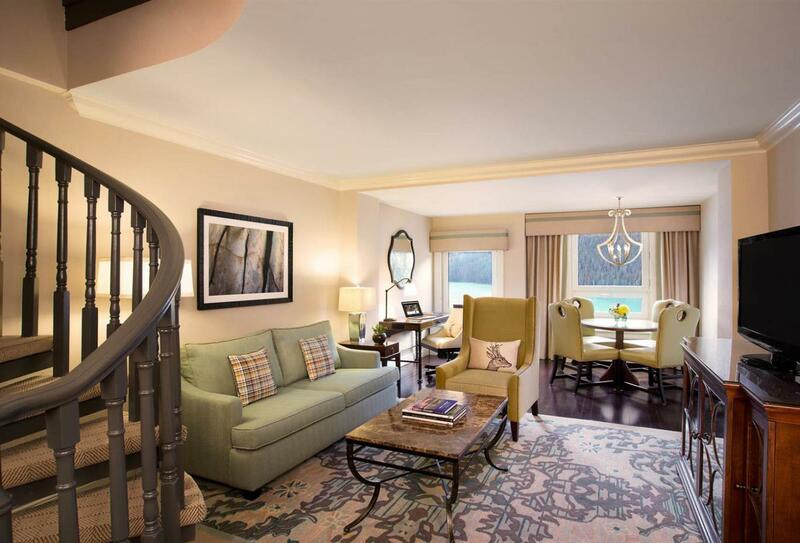 This two level Belvedere Suite Lakeview features a spacious living area and a balcony. A dining area is also included, however it is the secluded bedroom with its luxurious en-suite bathroom which truly impresses. 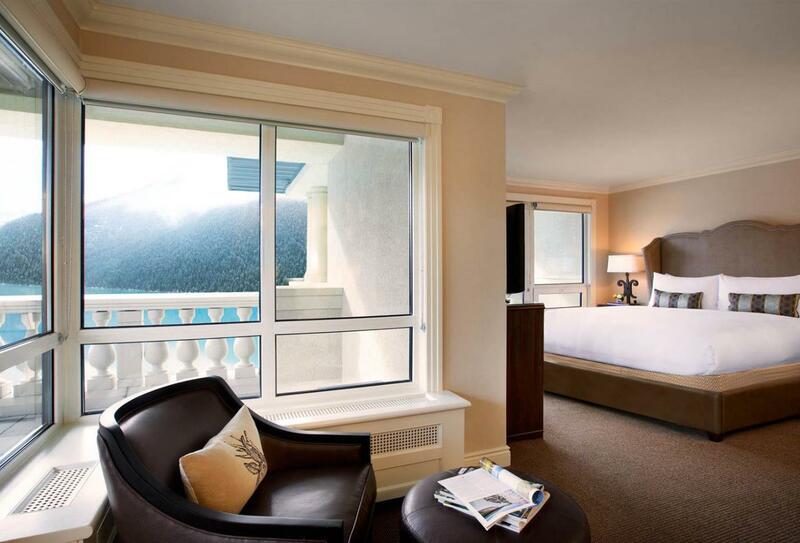 From here, guests can achieve peerless views of Lake Louise and the Victoria Glacier making it ideal for honeymooners. 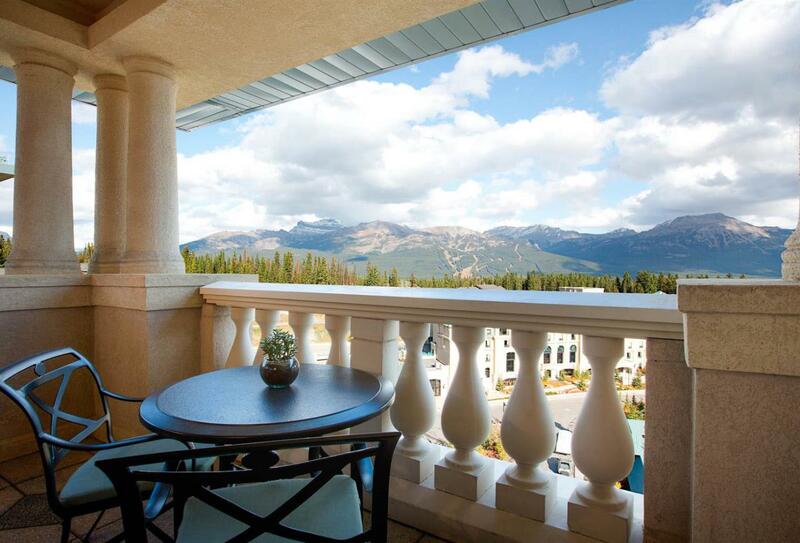 Spread over two levels, the Belvedere Suite Mountain View offers stunning views over the Bow Valley mountain range. A dining and living area is interconnected with a secluded bedroom and lavish en-suite bathroom. 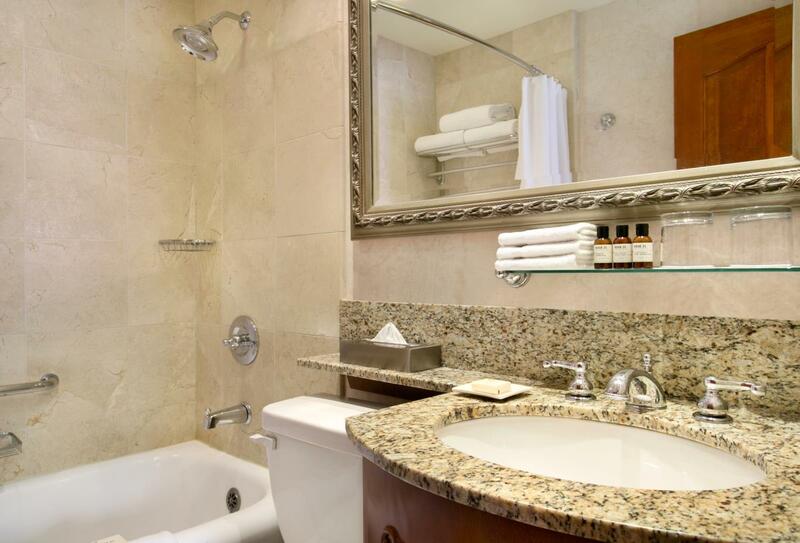 The suite is ideal for honeymooners because of its intimacy and grandeur. 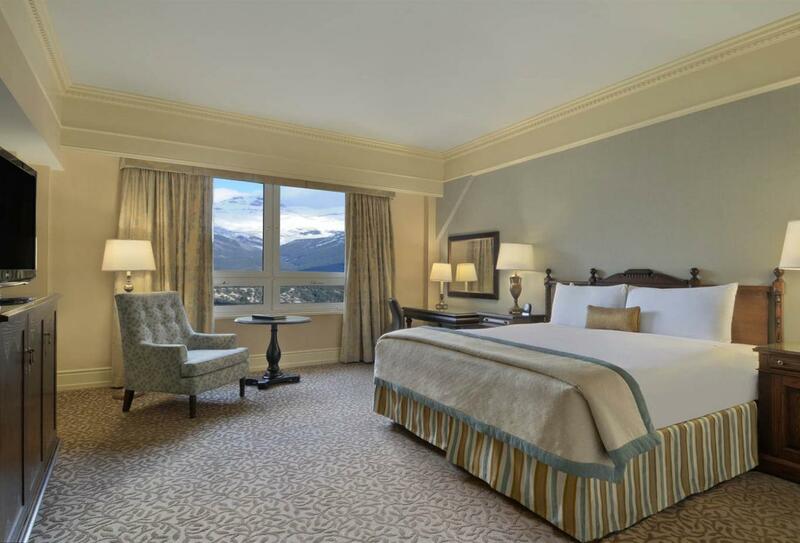 Spacious and elegantly furnished, the Deluxe Lakeview Room is ideal for families, executive travellers and couples. The bedroom offers spectacular views of Lake Louise and the Victoria Glacier, while an en-suite bathroom provides an individual shower. 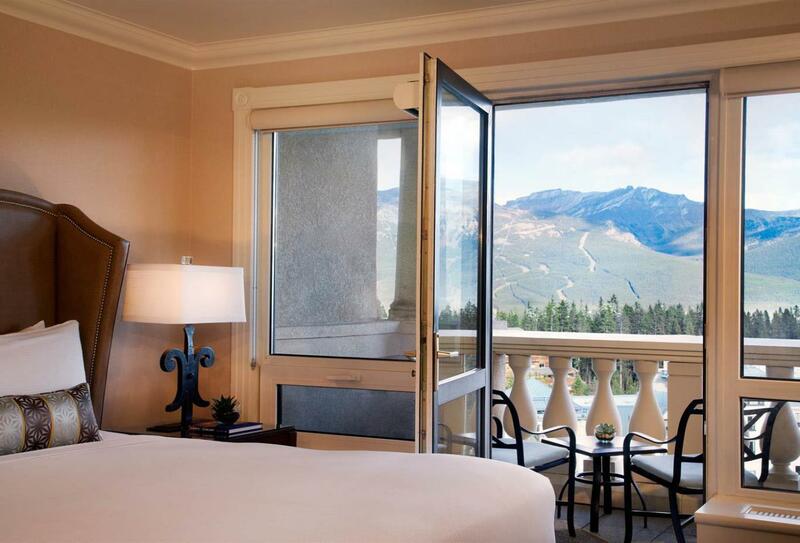 Located in the Mount Temple Wing, the Deluxe Mount Temple Room offers various views of the resort grounds and surrounding mountain ranges. 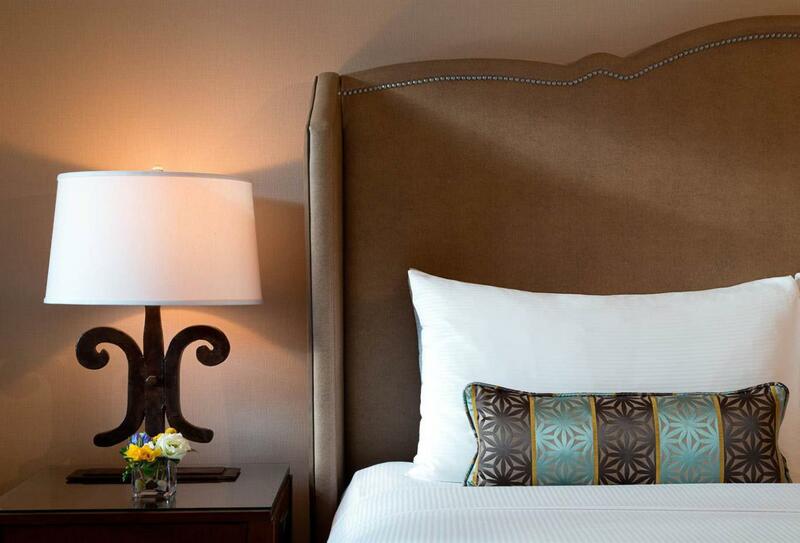 As the rooms are spacious, it makes them ideal for families, executive travellers or couples. 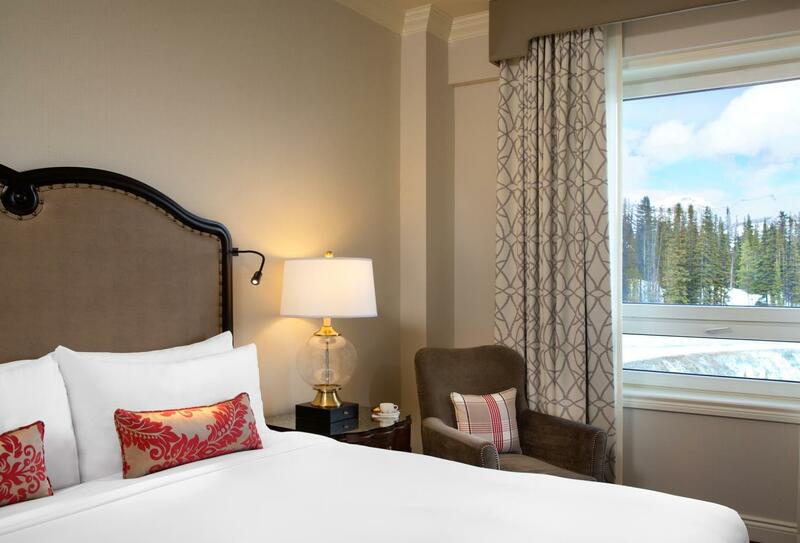 Similar in appearance to the Deluxe Mount Temple Room, the Deluxe Mountain View Room combines the elegance of well furnished rooms and an en-suite bathroom with majestic views of the Bow Valley Mountain range. 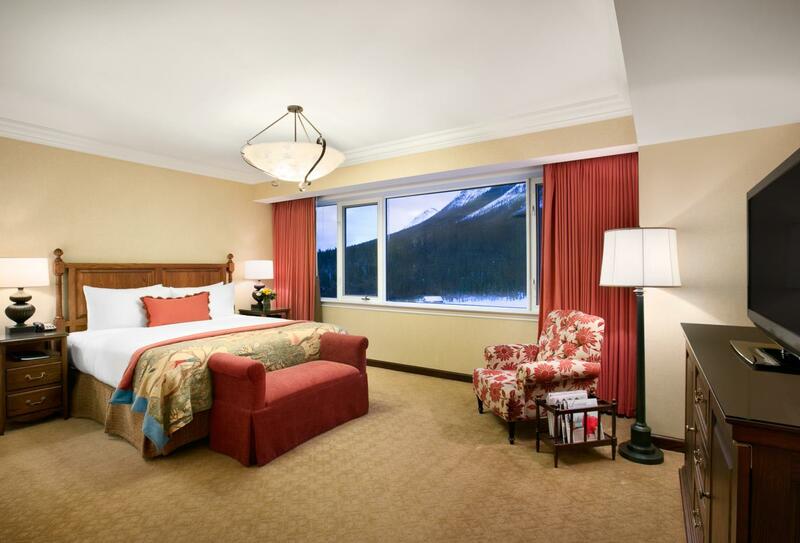 The Fairmont Lakeview Room features some of the most spectacular views of Lake Louise and the Victoria Glacier. The bedroom, through which window you can see these majestic sights, is an elegant affair with comfortable amenities and an en-suite bathroom that features a bathtub. One king size bed and one queen size bed, or two queen beds, or two twin beds. 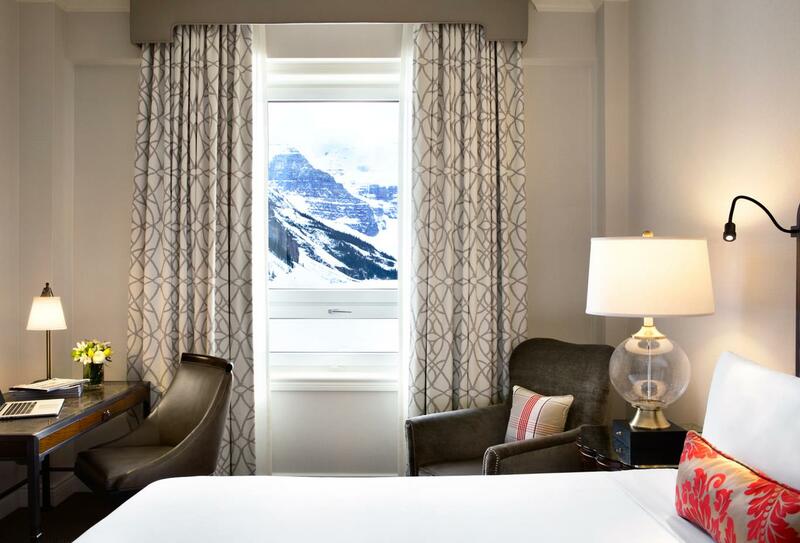 Featuring iconic views across the Bow Valley Mountain range and the Lake Louise Ski Resort, these guest rooms provide modern essentials and a comfortable ambience. 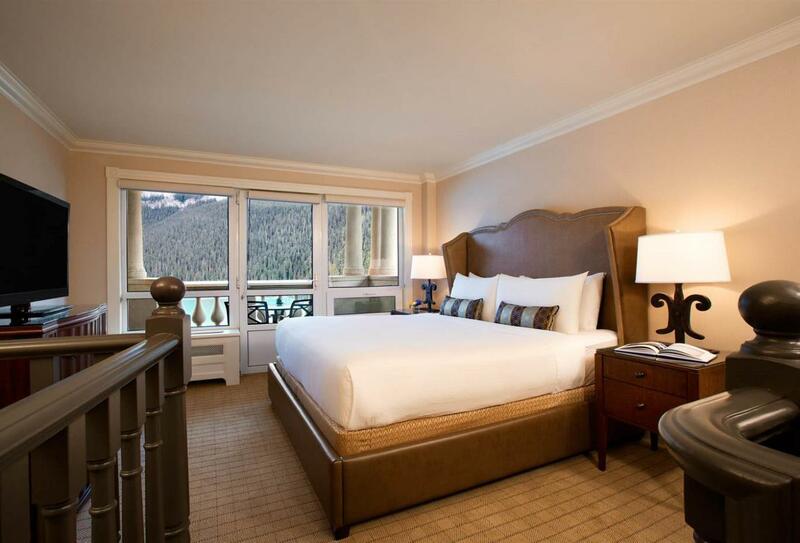 Fairmont guest rooms at the luxurious Fairmont Chateau Lake Louise resort provide a comfortable stay and offer views over the Chateau ground and hillside or pay a little extra for a full view of postcard perfect Lake Louise and Victoria Glacier. 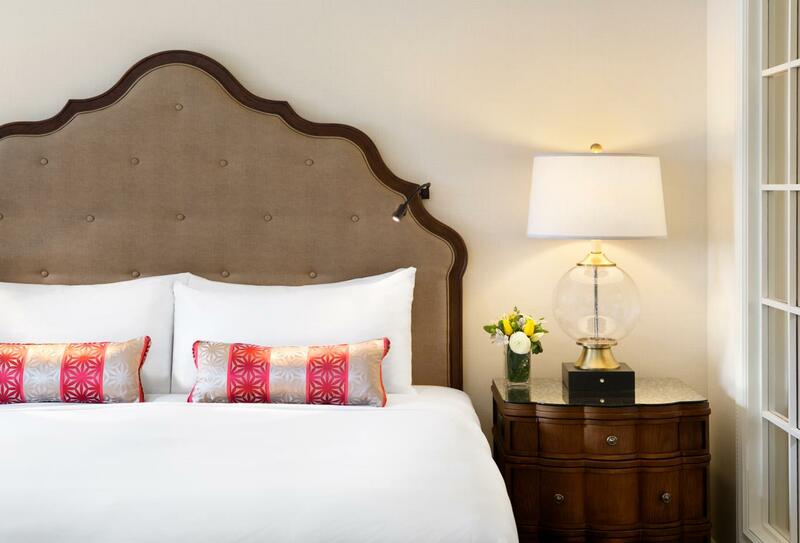 Spacious, comfortable and elegantly fashioned, the Junior Suite Lakeview features an opulent bathroom and a vibrant bedroom. 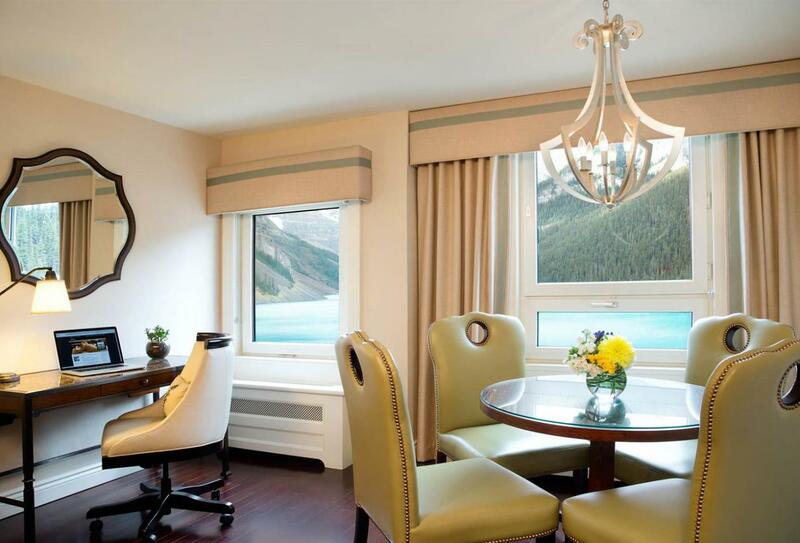 From here, guests can enjoy breath-taking views over Lake Louise and the Victoria Glacier. 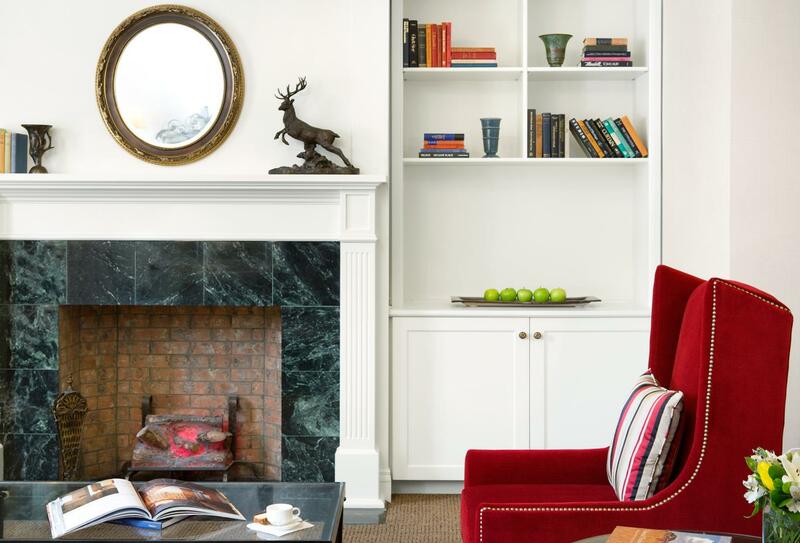 The Junior Suite Mountain View is characterised by its sophisticated and traditional seating area. This leads seamlessly in to the bedroom, with its plush beds and beyond this, guests can enjoy stunning views of Bow Valley Mountain. Featuring a list of amenities including a dedicated concierge and complimentary breakfast, the One Bedroom Suite Lakeview sits at the pinnacle of luxury living. 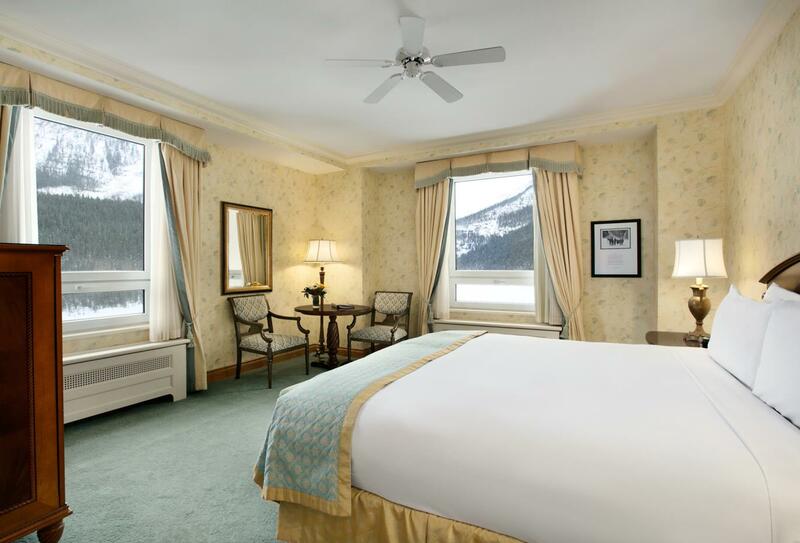 The resort overlooks the gorgeous Lake Louise and the Victoria Glacier, while a private bedroom features a luxurious bathroom and comfortable living area. 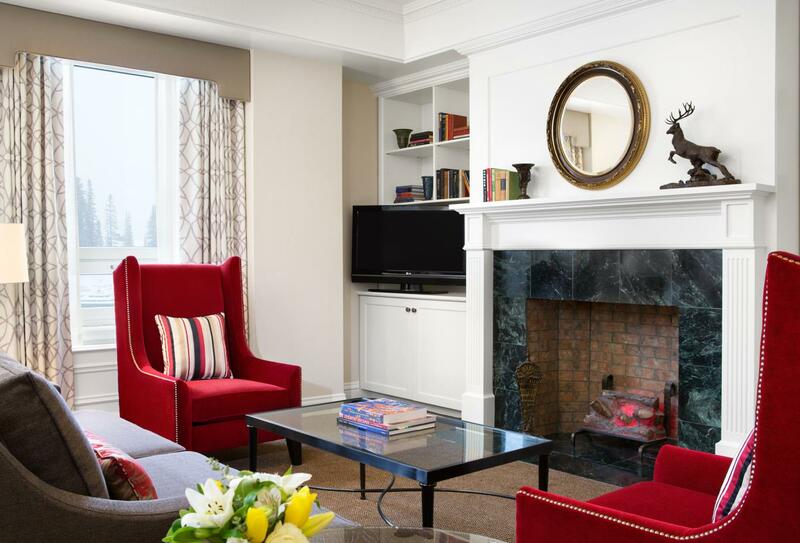 Because of its expansive style, the suite is ideal for families or couple on extended stays. 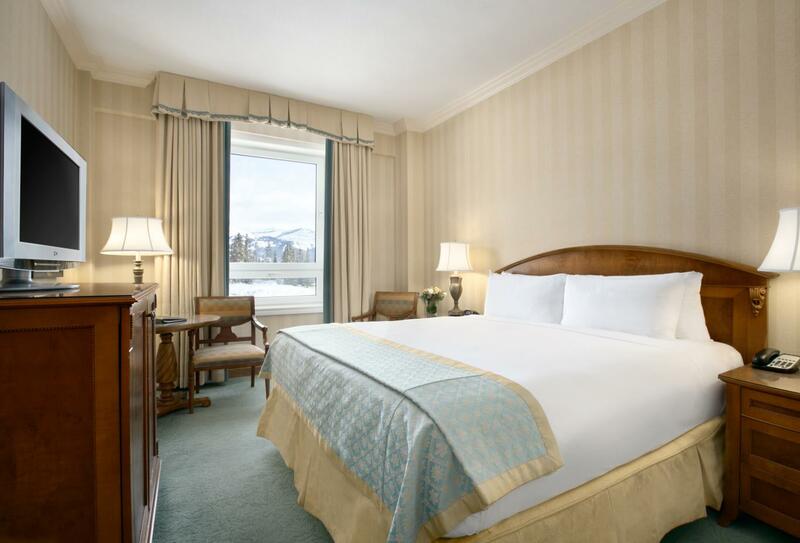 The One Bedroom Suite Mountain View provides exquisite amenities that are augmented by the stunning views of the Bow Valley Mountain range. The suite provides a cosy, modern living area that flits seamlessly in to the majestic bedroom with its en-suite bathroom facilities. 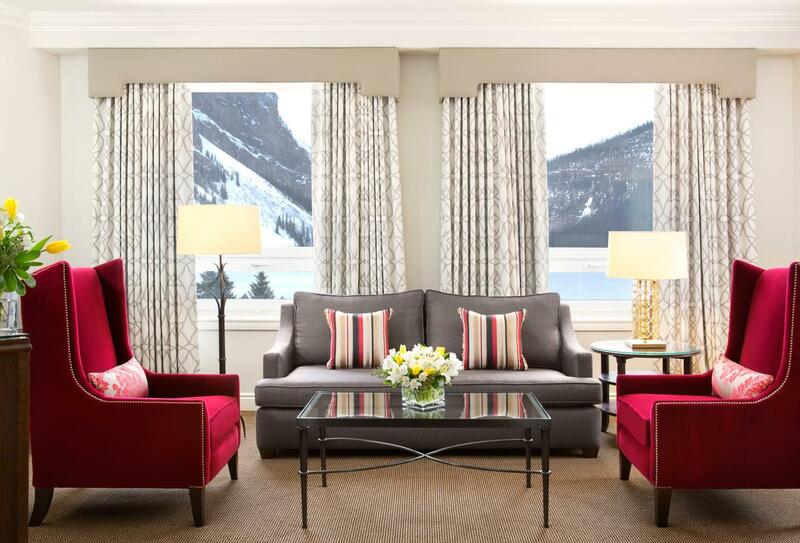 The two level Signature Suite Lakeview features a spacious and relaxing living area and balcony with views over Lake Louise and the Victoria Glacier. Inside, a secluded bedroom with en-suite bathroom nestles at the top of a spiral staircase. Other amenities include a private balcony and a powder room. Luxuriously spread over two floors with a spacious living and dining area, the Signature Suite Mountain View is the perfect accommodation for honeymooners or couples looking for an enchanting and romantic getaway. The bedroom is located on the main floor, alongside a secluded and intimate bathtub located at the top of a spiral staircase. 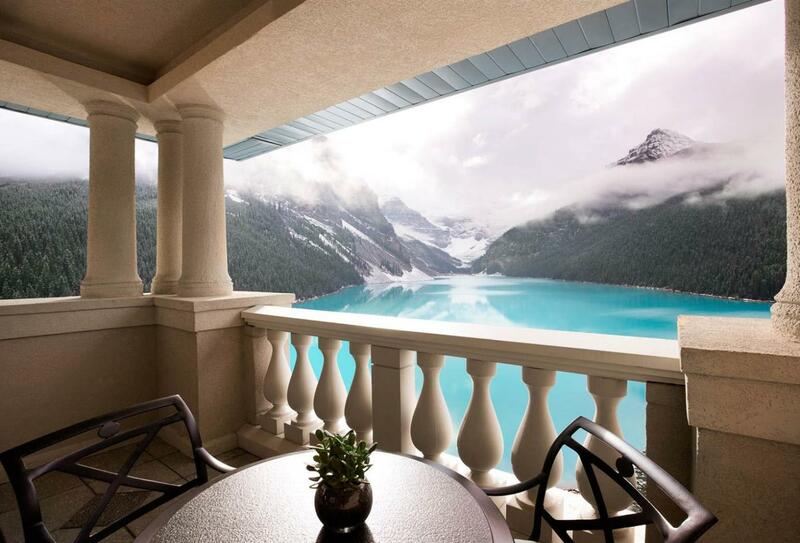 From a private balcony, guests can look out and admire the stunning views of Mount Whitehorn and the Lake Louise Ski area. Ideal for larger families or groups of friends, the Two Bedroom Suite Lakeview takes all of the endearing and elegant qualities of the One Bedroom Lakeview Suite and accentuates them with an additional room. 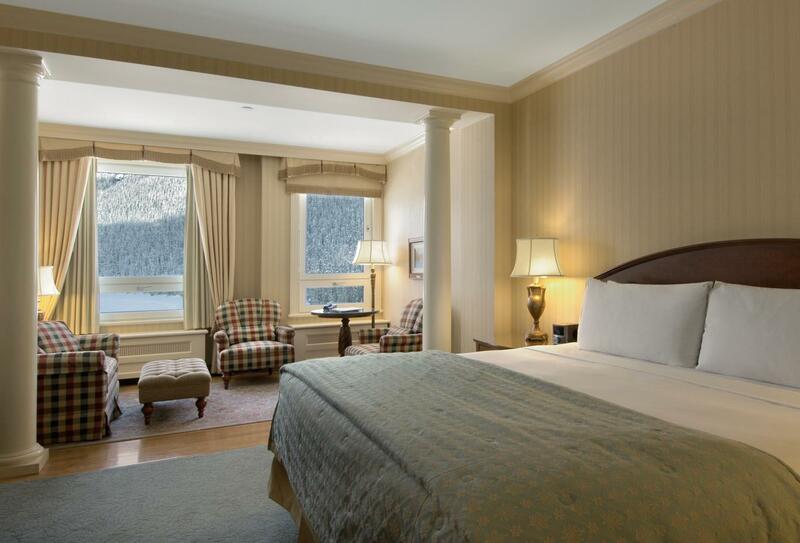 Included with the suite is a dedicated concierge, a complimentary breakfast and stunning views of Lake Louise and the Victoria Glacier. 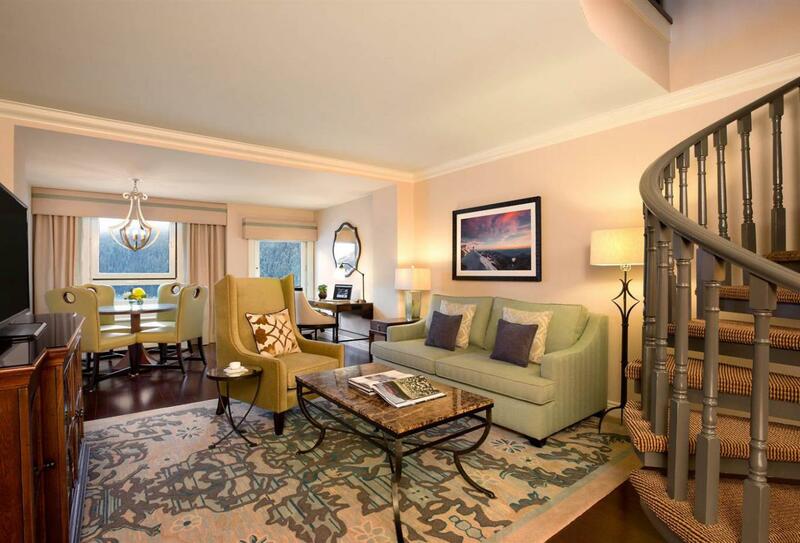 These impressive Two Bedroom Suite Mountain View are luxuriously furnished with modern amenities and rich décor. Both rooms of this suite are connected by a common parlour living area, which creates a seamless open-room plan. 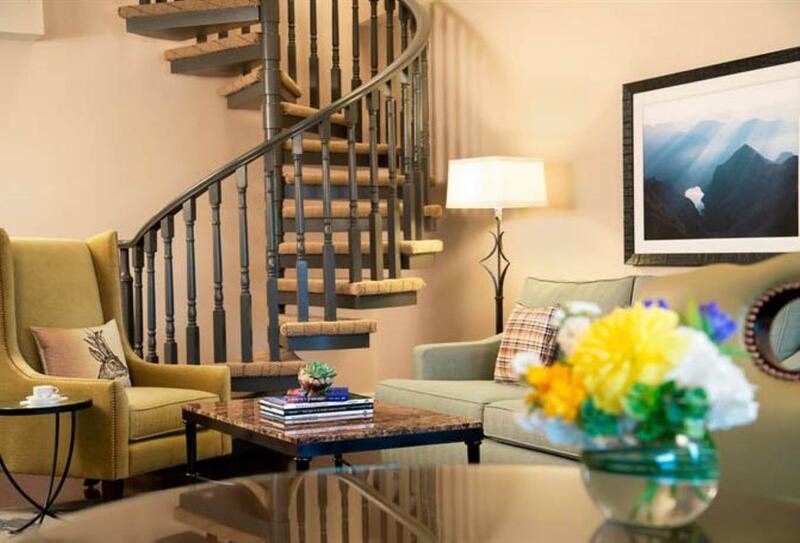 Guests can also enjoy a host of amenities which are attached to the suite, including a dedicated concierge and a complimentary breakfast. 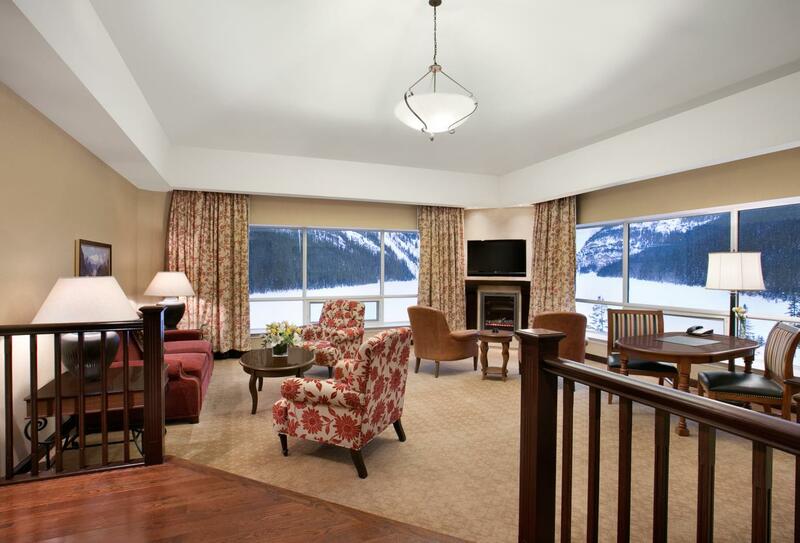 The suite also enjoys views over the Bow Valley Mountain range. £2,508+ GST (General Sales Tax) for bride and groom and up to 20 guests on a weekday and £3,000+GST on weekends. This package does not include room hire or reception costs (prices can fluctuate please call to confirm the up to date cost). Please note: All packages can be customized to your requirements and many additional activities are available. The Chateau Deli is open 24 hours a day and offers freshly brewed coffee and a variety of tasty hot meals such as soups, sandwiches and baked goods. Picnic lunches are also available on request. 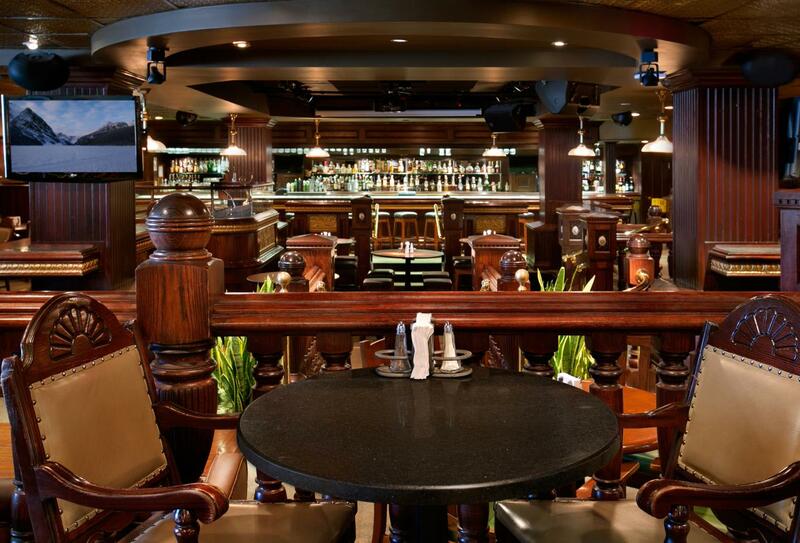 Enjoy the relaxed, casual atmosphere of the Galcier Saloon, a western pub and sports bar that infuses a traditional Canadian pub menu. Craft beer on tap or by the bottle is available. 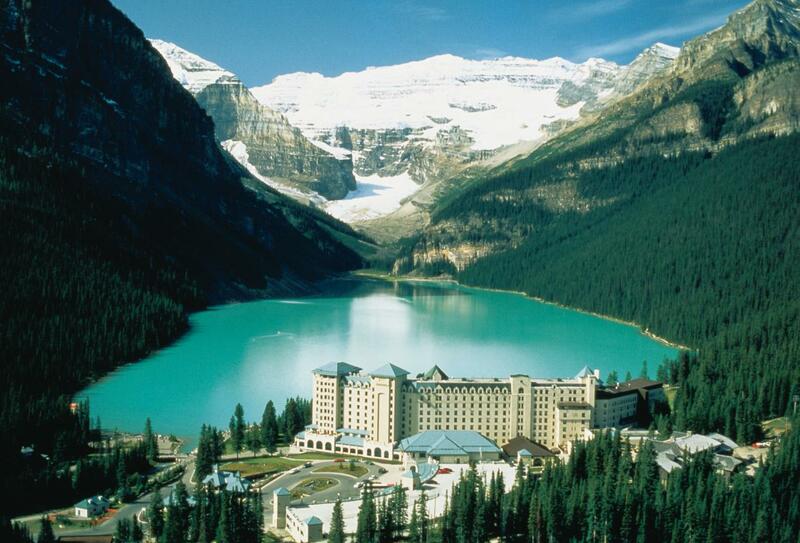 Admire the stunning views of Lake Louise while sipping a trademark Fairmont cocktail classic. The Lakeview Lounge also provides outstanding wines and offers tasty tapas. Lunch is 11:30 – 17:00 and evening tapas is 17:00 – 19:00. Delicious and extensive, the Poppy Brasserie specialises in delicious breakfasts for the whole family. 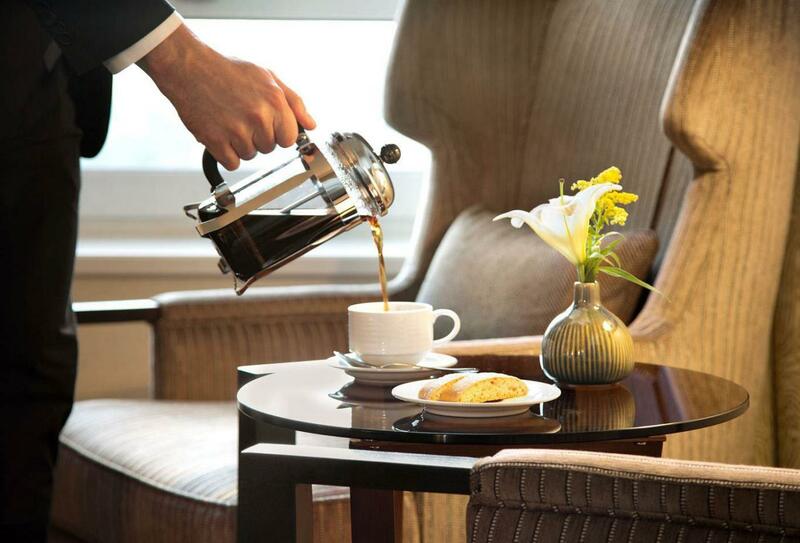 Breakfast a la carte is served 06:30 – 11:00 and the buffet breakfast is served 06:30 – 10:00. The Walliser Stube provides innovative European cuisine that is featured nightly. The eatery is also a renowned wine bar that favours classical Swiss, German and Alpine dishes. Open for dinner at 18:00 – 21:30. Every meal is a celebration of modern Italian cuisine at Lago Italian Kitchen. The restaurant serves a plethora of meals that manage to capture the essence of true Italian dining. Open May – September 18:00 – 21:00. 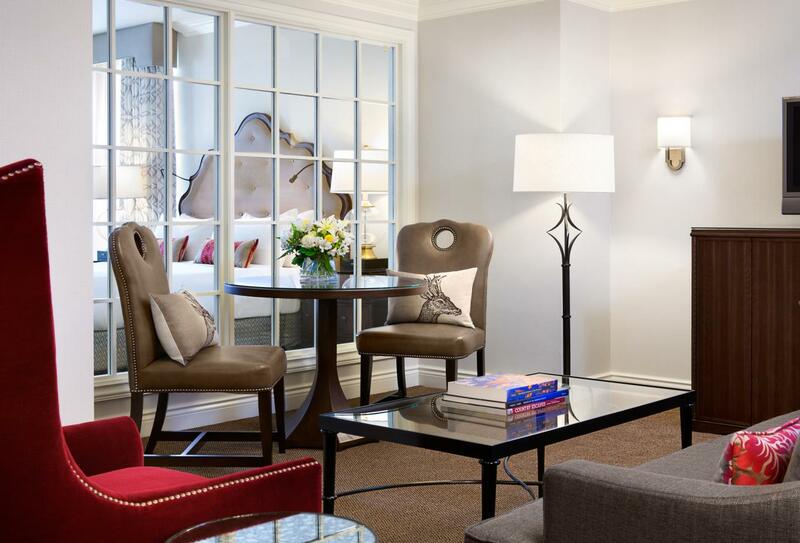 The Fairview serves the very best of contemporary Canadian cuisine. Enjoy spectacular views while you try the wine from an award winning list of beverages. Open 18:00 – 21:00. 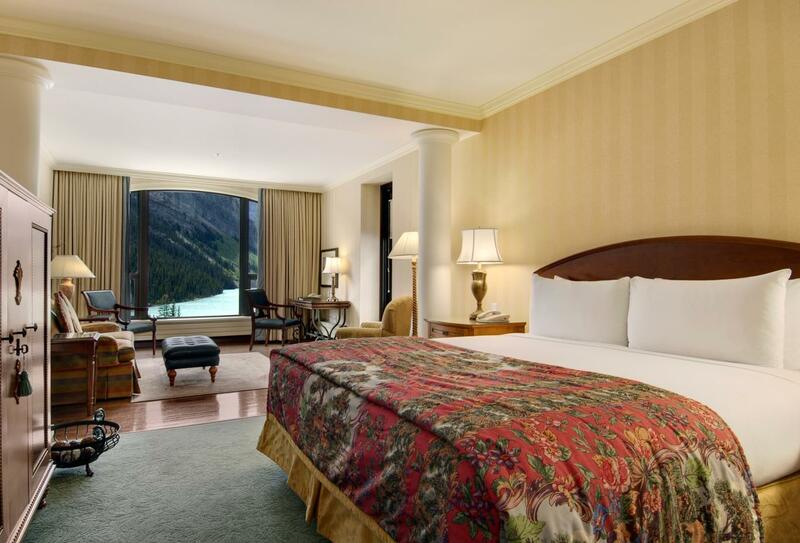 Surrounded by mountain peaks and the majestic Victoria Glacier, The Fairmont Chateau Lake Louise is nestled in Alberta’s Banff National Park, a UNESCO World Heritage Site.